Our site is always happy and proud to show the Hungarian references in connection with Sherlock Holmes. There is someone we have to mention: Károly Baumann (1871-1920, originally Károly Grünberg), actor and singer. Baumann's father, Henrik Grünbaum (a policeman, who later worked in catering), died early. Károly had to go to work when he was only 13. He became a typographer, and according to his colleagues he was very talented. He met with success on the stage of the typographers' union as a singer, and at the age of 14 he sang in a cabaret in the capital. He soon became the most beloved performer. Baumann loved his family very much, he had five children. Many theatres wanted him to act in their company, so they could advertise their programmes with his name. At the zenith of his career he had been diagnosed with laryngeal tuberculosis ( it caused his death later), but he continued to act. He was a modernist, who opened a café and shot a talking picture as well. Among his many other works his Sherlock Hochmec parody had been filmed as well. At that time there were many cafés in Budapest – they were very popular, artists, journalists, writers and poets all had their favourite places. Despite the fact that Baumann was a honoured artist, his café was uneconomic, though he tried to save it several times. He could tackle with this fiasco. He had a huge family, he got the mastery over his illness and had the grim determination to perform on his native language – these all show that he dared to believe in his dreams and did something for them. In connection with Sherlock Holmes it is often mentioned that he is the symbol of hope. (More information: I believe in Sherlock Holmes ) Károly Baumann, the optimistic man gave lots of hope for Hungarians too. He was a joyous personality, that is why he stressed the humorous side of the detective. He was such a talented actor that even with weakened voice his performances were full of brightness and joy. The audience did not perceive anything of his illness – only his colleagues knew how much he suffered. It is worth to mention that similar to Jeremy Brett, though Baumann was an acclaimed actor, one of the leading performers of his age, he did not get many awards. In 1905 he received the golden medal of the Hungarian Comic Actors’ Contest, but nothing else. But on the 30th jubilee of his career illustrious Hungarian actors saluted him at a huge celebration in the Orfeum, which was one of the most prestigious cabarets of Budapest. Károly Baumann and the Orfeum. This is a happy song about money. 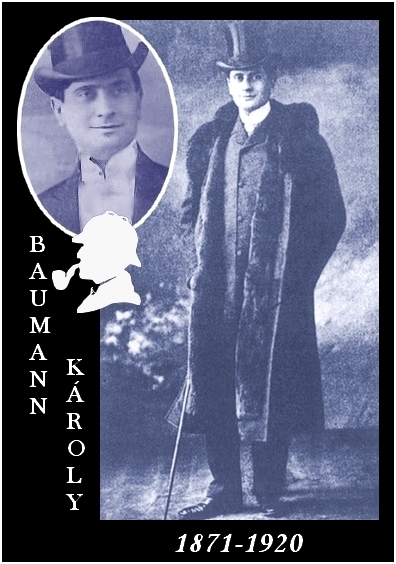 Károly Baumann had a play with songs about Sherlock Holmes. 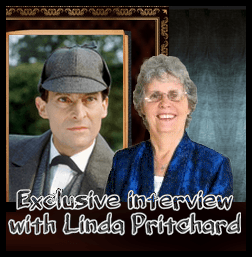 He impersonates the detective and skits the famous character of Conan Doyle and his adventures – these were accessible in Hungary in the format of cheap booklets. The play, entitled Sherlock Hochmec, the King of Detectives was written in the 1900s, so we have to rate it accordingly. 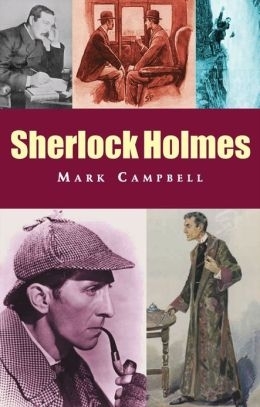 It had also been recorded, and author Mark Campbell mentions the actor in his book Sherlock Holmes.
" Károly Baumann: Sherlock Hochmec, the King of Detectives "